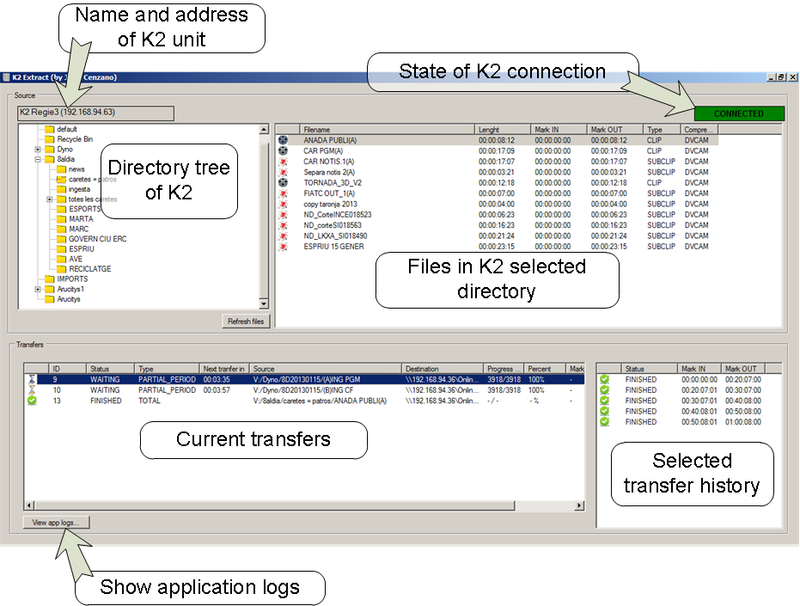 The K2 Extract is an application that transfers any file that is being captured in a K2 server to a media asset management (MAM) or newsroom system. 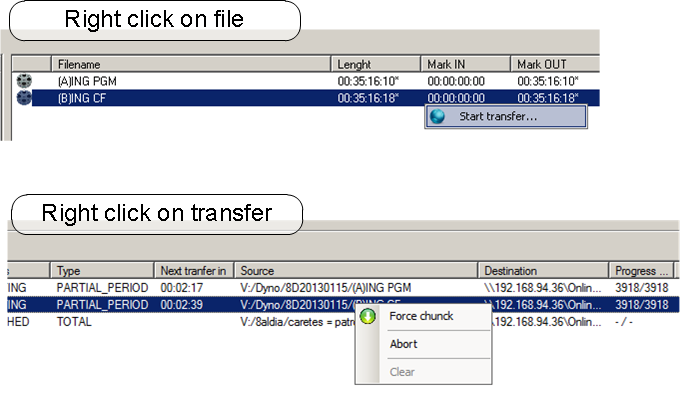 It allows the transfers automation as well. This application does not need to use a K2 channel, it only controls the transfers from K2, the K2 captures/play channels can be controlled at the same time by Dyno or directly from the K2 unit. This application (K2ExtractApp) can be used to transfer previously captured files as well. It allows you to transfer either the complete clip or the desired part of the clip (trimming). This application can run on any windows PC, ant it has been developed using .net and Grass Valley K2 AppServer API.